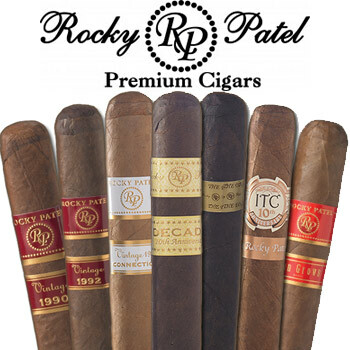 Well known for quality, consistency, and flavor, Rocky Patel Cigars are regarded as some of the most coveted, highly rated and beloved cigars ever produced. 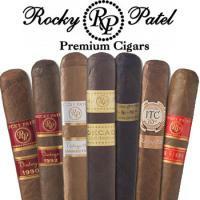 Rocky Patel has focused on strong quality control measures and refined the drying, aging, fermentation and blending processes, which is evidenced in all of their cigars. Handmade in Honduras and Nicaragua, all Rocky Patel Cigars feature premium quality aged tobaccos, delivering a complex and ample taste. Whether you choose a mild cigar like the Rocky Patel Edge Light or a heavier cigar like the Rocky Patel Decade, you can't go wrong with a cigar by Rocky Patel.